I am back again with a card I made using one of my digital stamps. I hope you like it and if you have any suggestions about what I should draw...let me know. I have a lot of sketches but I am always open to new ideas and always developing more and more sketches. This stamp is called Girl at the Window. I colored with Copic markers and I cut it with a rectangle stitched die cut from My Favorite Things. 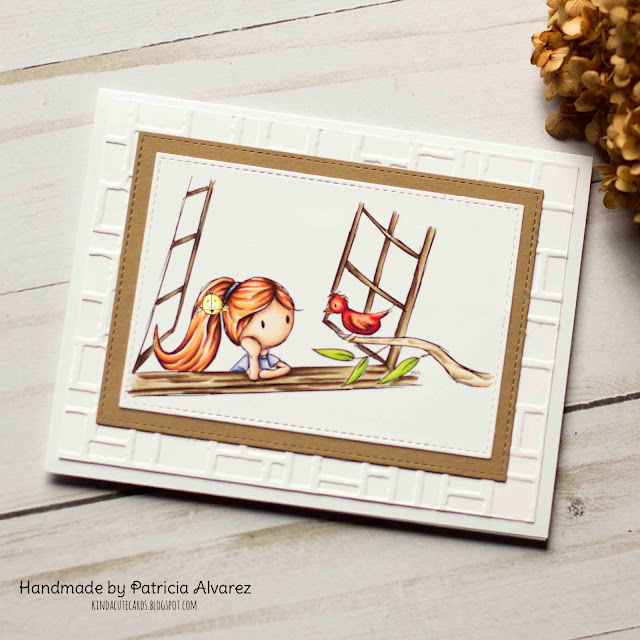 The background is made with an embossing folder from Darice. I hope you like the card! What a lovely image. Looks so clean and fresh.